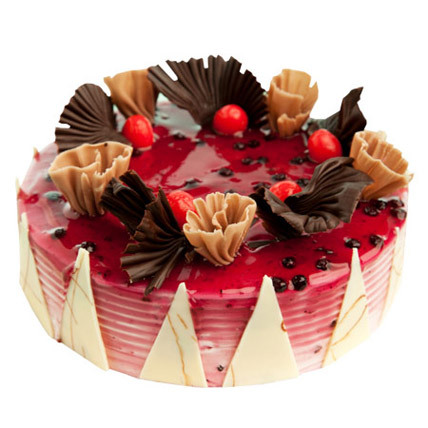 Treat you and your loved ones with Half kg Blueberry Cake and make the celebration most special and memorable. Vanilla sponge layered with exotic vanilla cream, crushed blueberry and topped with blueberry.
" .. I really liked the overall experience, beautiful website, excellent customer service. The use of technology Like SMS reminders, everything just added to the experience. " " “... The cake was lip-smacking and delivered in less than 3 hours. The pricing was absolutely value-for-money and I love to recommend Flowerncakes.com to my friends and family. " " “... 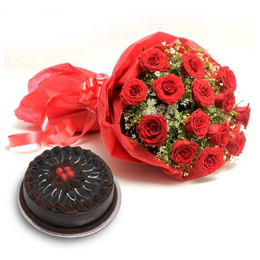 This was my very first time of booking flowers online and I chose Flowerncakes.com. The experience was fantastic to say the least. The flowers were just gorgeous" "
" “... 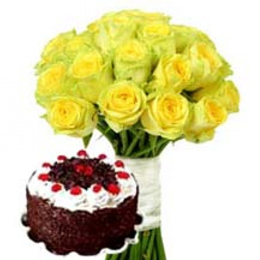 This is a great website for sending flowers and cakes online. A good choice over other drooling websites. Keep up the good work Team Flowerncakes". " 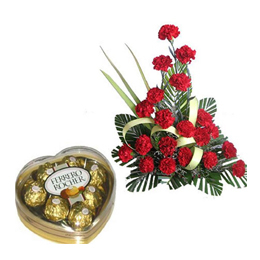 " Happy with the overall experience , it was a first time i was shopping online , and got a great chat support for all my queries.the product delivered was really good , must appreciate "
" One of the best online portal to order gifts for our loved ones. Initially I was worried whether they will be able to deliver it on time because it was a remote place and I informed them to deliver within two hours. They have done an excellent job, Thank you. " " You guys did an awesome job!!! I am so happy and my husband was sooo surprised and loved each product I ordered!!! Will definitely purchase many many many bouquets more on several occasions!! Love you guys!! "